Hey guys! Welcome to PaleoNews, your source for the latest in paleontology! Just today, news came out of a new pseudosuchian archosaurimorph from Tanzania, and its name is Nundasuchus songeaensis. Many of you have probably already heard of this awesome beast which was described in November, but Nundasuchus only caught the attention of the media within the past two days. I have no explanation as to why this is, but it is cool that it did get media attention anyway. For those of you who don’t know, Nundasuchus was an average-sized pseudosuchian at around 9 feet long that lived in what is now Tanzania. It’s only known from a partial skeleton, but paleontologists have a pretty good idea what it looked like based on other pseudosuchian fossils. It probably was the apex predator of its time and region, preying on synapsids and diapsids galore! A new lizard from the Jurassic of China shows that some reptiles may have exhibited parental care. Philydrosaurus was described in 2005, but a new fossil shows that the small lizard may have been way more interesting then previously thought. The fossil shows an adult Philydrosaurus seemingly guarding its young, a behavior uncommon in most reptiles. Fossils preserving animals engaging in certain behaviors are extremely rare, and so this is big news for anyone interested in paleontology. SVPOW showcases work of Aquiliops here. That post features a lot of cool art, so be sure to check it out when you have time! The Bite Stuff talks about Caenagnathidae, a weird and wonderful family of oviraptorosaurs which recently got a new member in 2014. I suggest you check it out here! Here’s a new segment! I got the idea from Love in the time of Chasmosaurs, an awesome blog you can check out here! 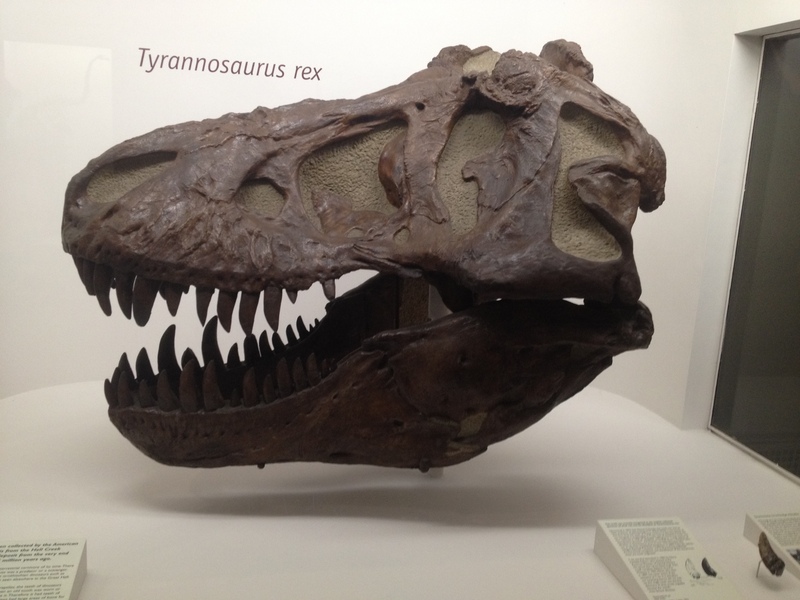 This week the featured photograph my photo of a T.rex skull from the Peabody Museum! Remember, if you would like to showcase your work, contact me in the comments below! Hey guys, welcome to PaleoNews #2. Some really cool things have happened in the past weekend! In the news: a large new ichthyosaur from Scotland, an ancient fish, and much more! Enjoy! Just today, paleontologists from Scotland described Dearcmhara shawcrossi, a large basal ichthyosaur. As some of you may know, vertebrate fossils from Scotland are extremely rare, and so this new find is getting lots of publicity. As usual, the news companies reporting on this fossil have no idea what they are talking about half the time and overstate how big or small or important the actual find is, and so if you look this ichthyosaur up, you’ll find such headlines as “Nessie’s Ancient Ancestor” (which is just ridiculous). The actual animal only measured 14 feet long, which is big for an Jurassic ichthyosaur, but not nearly large enough (in my opinion) to be considered a sea monster. A new fish named Janusiscus schultzei reveals what the common ancestor of cartilaginous and bony fish may have looked like. This fish, which was previously classified as a species of Dialipina, was recently given its own genus and species. The fossil shows that bony and cartilaginous fish had many more features associated with bony fish then with cartilaginous fish, suggesting cartilaginous fish are way more specialized then previously thought. Hopefully Tetrapod Zoology doesn’t see this, because Naish will likely be offended by my fishy language (see what I did there!). 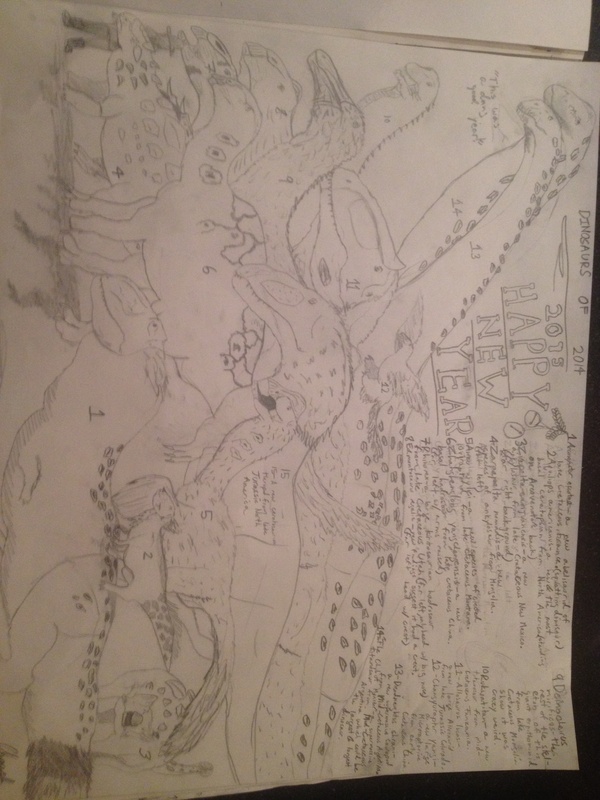 On the Luis V. Rey Updates Blog, Rey discusses his new work that features good ol’ Tyrannosaurus chasing an Alamosaurus. This is awesome because “Ol’ Rex” is usually portrayed chasing (and killing) anything but sauropods, and so the artwork gives us a bit of pleasant surprise when Tyrannosaurus is dwarfed by Alamosaurus. For extra awesomeness, it was based on a museum mount! You should definitely check out his blogpost for more on his new awesome artwork. On Archosaur Musings, Dave Hone discusses some recent artwork on a certain Protoceratops find. You can find that blogpost here. The artwork exhibited is by the fantastic Andrey Atuchin, by the work of whom I have always been inspired. Check out his deviant art page here. It is full of his awesome digital artwork and is definitely worth checking out!!! Anyways, that is all for now! Thanks for reading and stay tuned for more! Recently a group of baby Protoceratops were discovered in a bonebed together. This is very important because it signifies that baby dinosaurs may have flocked together for safety. A new behavior found in dinosaurs is very exciting. If you would like to learn more, visit Dr. Dave Hone’s archosaur musings! A time so far away. He fled and prayed and starved and gazed and from it did he sing. Oh sail me! Sail me there! Back before the human dynasty! Here is a sketch I drew of all the dinosaurs discovered in 2014. Enjoy and Happy New Year!